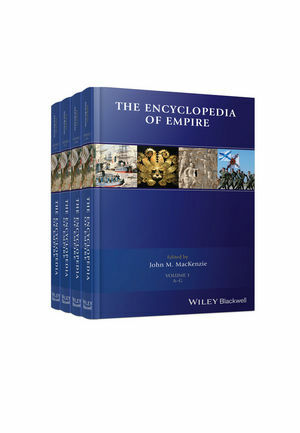 Available online or as a four-volume print set, The Encyclopedia of Empire provides exceptional in-depth, comparative coverage of empires throughout human history and across the globe. John MacKenzie is Professor Emeritus of Imperial History at Lancaster University. In addition he holds honorary professorships of St. Andrews, Aberdeen and Edinburgh Universities, and is a Fellow of the Royal Society of Edinburgh. He has edited the Studies in Imperialism series of Manchester University Press for the past 30 years, a series now encompassing over 100 books. He has authored and edited many publications on the history of the British Empire and has travelled extensively throughout the former empires of Britain, Portugal and the Netherlands.